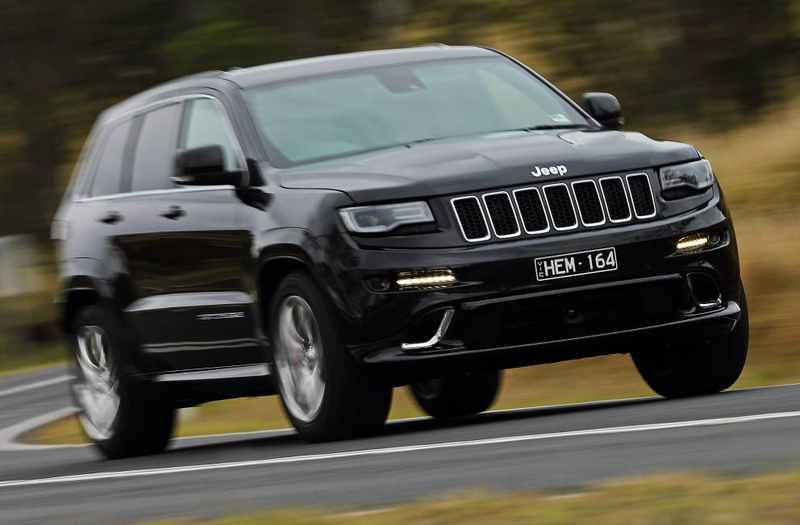 The Jeep Grand Cherokee is more popular in Australia than at home in the US. New car sales in Australia are disappointingly down 3% year-on-year in May to 94,562 registrations, bringing the year-to-date total to 441,642 units, also down 3% on 2013. The SUV segment is the only one to gain ground on May 2013 at +2% while passenger cars (-4%) and light commercial vehicles (-8%) sink. Illustrating this trend, after the Toyota Prado (#7) and RAV4 (#8) both reached their all-time high monthly ranking last month, another SUV reaches record levels in May: the Jeep Grand Cherokee breaks into the Australian Top 10 for the very first time, smashing its previous high of #14 hit last January thanks to 1,694 sales and 1.8%, also its volume and share records. This is the first time in the history of automobile in Australia that a Jeep manages to find its way among the 10 most popular vehicles in the country. It makes the Grand Cherokee more popular here than it is at home in the US where it currently ranks #23 so far in 2014 and last appeared inside the monthly Top 10 in… December 2005! 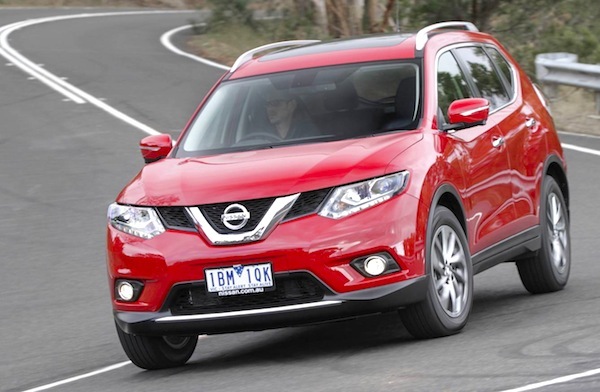 Other great performers this month in Australia include the Holden Commodore up 61% year-on-year and faithful to the 4th place it also holds year-to-date, the Ford Ranger up 36% to #6, VW Golf up a fantastic 46% to #7 thanks to the new model and the Nissan X-Trail in 14th position with 1,448 sales vs. #22 year-to-date. Can the Toyota Corolla reclaim the overall leadership off the Mazda3 later this year? 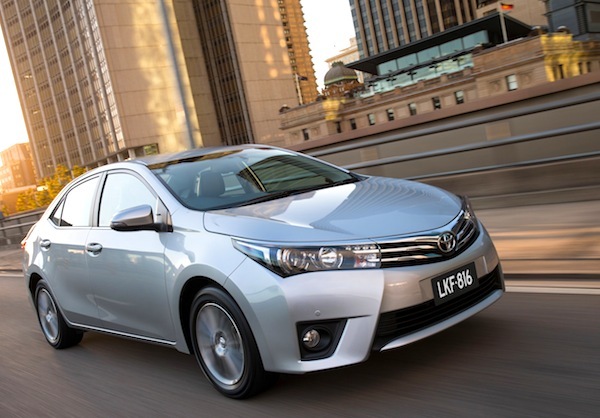 Atop the ranking, helped by the new sedan, the Toyota Corolla manages to finish first for the third consecutive month and the 7th time in the last 12 months thanks to 3,871 sales and 4.1% share (+6%) above the Toyota Hilux at 3,313 units and 3.5% (-10%) and the Mazda3 with 3,291 sales (+8%). However this is still not enough to compensate for the stunning figures the Mazda3 delivered in January and February and the Corolla still trails year-to-date at 17,518 sales vs. 18,465. 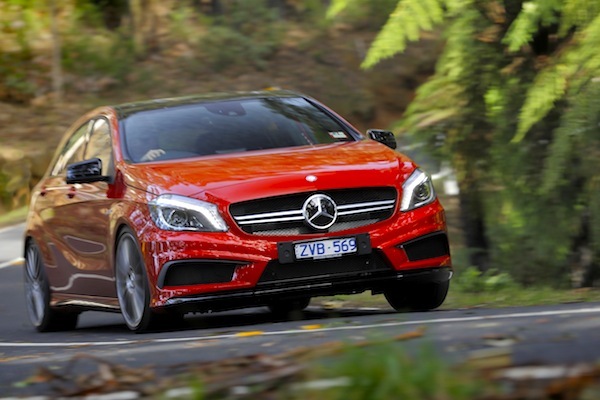 Mercedes is among Australia’s Top 10 brands for the first time this month. Brand-wise, Toyota still reigns supreme at 18.2% share despite sales down 9%, ahead of Holden at 9.5% (+9%), Hyundai at 8.9% (+5%) Mazda at 8.2% (-5%) and Ford at 7.3% (-4%). Nissan (+6%) is back above Mitsubishi (-18%) while Volkswagen (-11%) and Subaru (-9%) struggle. But the big event is the 10th place of Mercedes, jumping into the Australian Top 10 for the very first time thanks to sales up 10% year-on-year to 2,611 units. Thanks A and GLA Class! Full May 2014 Top 20 models and Top 10 brands Ranking Tables below.